ometimes I ask myself, why does humanity act the way it does? When all is well and fine with the world each of us try our best to outdo the fellow beside us. Whether it be in sports, an argument over an oil hike, or even the choice of people running our government. Each side considers themselves the truth and the best. They cannot be wrong. But when God intervenes and erases one continent through a ravaging cyclone or flood, the rest of the world hears the cries of the obliterated and offers assistance and aid in all forms. We do not concern ourselves with petty matters as the color of skin, race,social group, or religion. It is enough that there are people dying to extend our hand in comfort. Why the need for tragedy to see the good side in man? 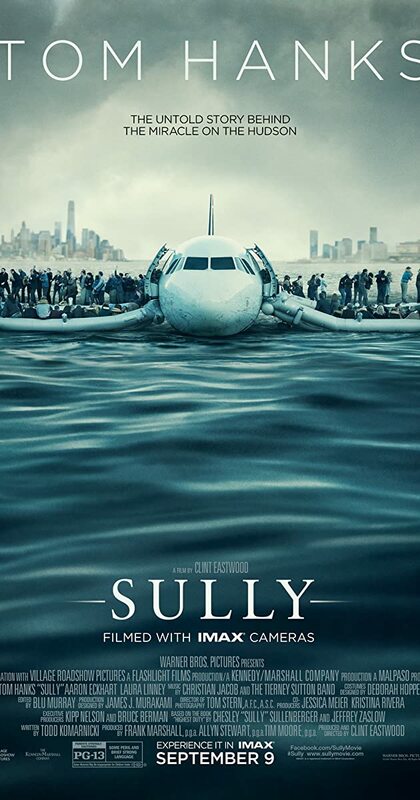 A few weeks ago, I downloaded a movie titled “Sully”, a true story about a seasoned airline pilot who was forced to make a water landing in the Hudson River back in January 15, 2009. The movie reportedly gained the acclaim of critics and moviegoers earning $234 million worldwide. So last night my curiosity got the better of me and I put on the movie. It was a great movie. I’m not sure if it hit our theaters but it was apparently shown in the States around September of 2016. The story evolves around Pilot Chesley Sullenberger otherwise known as Sully and the NTSB (National Transportation Safety Board). Though Sully opted to force land on the Hudson River, the NTSB believes that the pilot erred and put to risk the lives of all its passengers and crew. To prove their point the Board created simulated test flights manned by actual pilots who made successful landings to two nearest airports at the time of the incident. Sully however correctly explained that on simulations, the “human factor” is left out leaving the actual incident completely unexpected and unrehearsed. Everything is unprecedented until it happens for the first time. The outcome becomes dependent on the sole decision of the person making that decision. He takes full responsibility – good or bad. Summarizing a very good story, the Board admits their shortcomings. “Elizabeth Davis [Board member]: I’d like to add something to a personal note: I can say with absolute confidence that, after speaking with the rest of the crew, bird experts, aviation engineers, after running into every scenario,after running each player, there were still accidental results…: And it’s you, Captain Sullenberger, removing you from the equation of math, just fails. 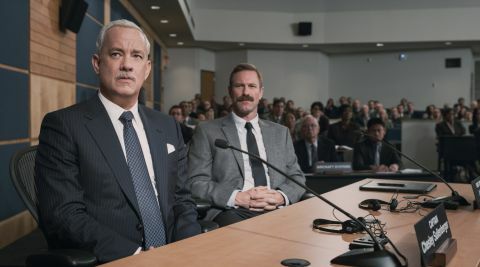 You will note that Board Member Davis was commending Sully for a job well done and if it wasn’t for him the plane could have crashed with very dire results. But instead, Sully disagreed and said that their survival was not dependent on him alone. It was a team effort. Everyone was involved, from the crew, passengers, rescue workers, traffic control, helicopter crews, scuba cops, they all did it. They survived. Sully knew that without the full participation and cooperation of all involved, they would not have survived. Same is true in any organization or government for that matter. The leader alone cannot run the organization. He has to have the full support of his constituents to achieve his goal whatever that goal may be. A radical form of government instills a forced following because it will attempt to deviate from established norms. And to deviate from established norms where its roots are spiritual in nature – love of God, brother, and family – will never succeed because you will be moving against God Himself. But, should God decide to force His hand on His people once again, the remaining few good ones will never gloat but will extend their hands in comfort and understanding to the majority who felt fear for man and not God. Tragedy has always brought out the good in man … and it always will. ….Tom Hanks is one of my favorite actors. Ver true. A leader alone cannot run the organization or government. That’s why despite the many mistakes and weaknesses of our foul mouth President Duterte, he runs the government well because his cabinet and people are supporting him. Of course there are some in his team who are afraid to oppose him particularly some of his major decisions like the Marcos burial, EJK, foreign policies; but they could see his heart and sincerity to improve the lives of the people. Crime, corruption are major factors, and poverty hinders the progress of the nation especially now that population has reached over a hundred million. Let’s now turn to the current/church leader/church administration. Does he have the support of all the ministers and brethren? Or only the support of the corrupt inner circle? Tragedy has brought out the good in man…and tragedy sometimes wakes up those who continue to sleep unmindful of the many problems and evils inside the church. Shall we wait for this tragedy? Already, many including Ka Tenny’s family have suffered from the tragedy caused by the fake leader whose ambition is to benefit himself, his wife and the corrupt ministers around. May tragedy not happen to the Church per se or the innocent brethren who faithfully or blindly obey his leadership. If tragedy has to happen, may it be to him. If this happens, then the beloved Church could be restored to her old glory. Absolutely. May I ask you Rosie, what have you done or doing? We all here don’t claim to be good men. We’re all sinners. But even for once in our life, we must do something good in resolving such a very important issue as this EVILMan. This Blog led by WS is a good start. I’ve shared some scenarios in my earlier posts. At the end of the day, it’s still in God’s hands. In order to save the beloved Church, let’s all pray to God to remove this EVILMan NOW. World War Word in the internet INC members n Ex-INC members, truly ‘killing’, ‘hating’, ‘attacking’, each other? INC faithful members continue to COVER-UP Anomalies, Corruption and Harassment, still Blinded to the Reality that INC had lost its ‘Glory’. The four corners of the world knows who and what they are? Ex-INC members are fighting for Justice, Equality, Truth and to bring back the ‘Glory’ of INC.Word War in the Internet is damaging n will continue to ‘kill’, ‘damage’ per se this church internally n will bring about a great schism as days, months, years passes by.’Bataan has fallen’ from the very words of Gen.Jonathan Wainwright, truly ‘INC has fallen’ and it will gradually ‘collapse internally’ leading to a ‘chaotic divided’ INC. INC will stand forever but it will never be the same again…I AM ONE WITH GOD FOREVER. Compared to other blogs whether they’re pro or against the current leadership, this Blog is more fair and decent in its comments. In fact, I’m the very few who sometimes express bolder statements and appreciate WS’s not deleting or censoring me. It’s only after sending my comments that I realize some of my comments are foul. This Blog represents what true democracy is. I learned that some ministers are regularly reading this Blog. I won’t be surprised that the INC Empire is also reading this. INC has lost her glory? Yes. It’s no longer the same. The situation has gotten so bad that the only way to bring back her glory is to remove the one you referred to as EVILMAN. If we could have devotional prayers in asking things from God, why not hold a devotional prayer “Panata” to remove this EVILMAN? It’s only God Who can remove him; so, let’s all pray to God to remove him. ‘Good And Faithful INC’ members keep the Faith in GOD n not to EVilMan.